If you were there you already know it: it was simply amazing. And who says there is no free lunch in America, Sikhs came with kirpan and conquered the Parliament by sharing their langar tradition all five days. People were saying “thank you” and “congratulations,” but their lit faces were way ahead of their words. They meant every word of it. Spirits were simply uplifting. My heart is filled with gratitude for each of you who attended or made it possible. The Charter for Compassion and the United Religions Initiative stood with us from day one when we announced the Parliament in Salt Lake City. The Salt Lake Interfaith Roundtable converted a Parliament venue, for the first time, into a sacred space and organized a beautiful night of Sacred Music in the Salt Lake Tabernacle. Thank you to our hosts with the most: the Utah Governor’s Office, two mayors- Ralph Becker and Ben McAdams, and Visit Salt Lake. The Rotary, the State of Utah, KAICCID and Claremont Lincoln University stepped up as major sponsors of the 2015 Parliament. These generous gifts afforded our producing much of the work which went into this event, gave us a Golden Banquet, and helped multiple speakers make the journey to the Parliament. 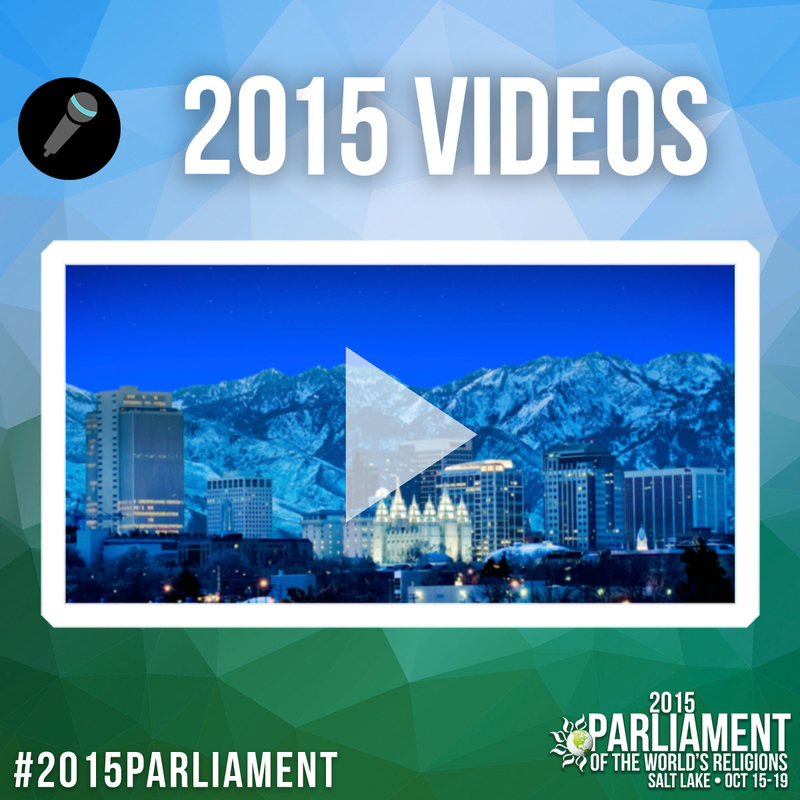 women and young people under 30 made up just more than 65 percent of participants at the 2015 Parliament! With the permission of the indigenous community, the original people of this land, on behalf of the board, with love in my heart, compassion in my mind and smiles on our faces, to reclaim the heart of our humanity, I declare this 6th Parliament of the World’s Religions open. And people kept their smiles on all five days long, although there were a lot of tears at heartfelt moments. An executive team of fantastic women led efforts for the past year to bring it all together from Utah. Hundreds of volunteers were lined up each day at dawn to help our guests from around the world make their way to the hundreds of surprises awaiting every corner of the convention center. And let’s not forget the team of the Salt Palace, who were with us at every step to welcome the global interfaith movement, making special accommodations in respect to our diversity and unique requests. I also want to give a resounding personal thanks to a beautiful Parliament staff that gave immeasurable energy, talent and time to make this event all it became: Stephen Avino, Lindsay Bartolini, Rayna Burke, Chelsea Canada, Amali Dabarera, Geoff Doiron, Michael Donahue, Dr. Larry Greenfield, Debbie Holstein, Molly Horan, Nafia Khan, Mendel Kranz, Donna Lake, Dr. Mary Nelson, Tracy Nicholas, Daniel Pacheco, Miriam Quezada, Sara Rahim, Brian Savage, Austin Sisson, Rangie Sin, Jacob Smyth, Susan Soleil, Haley St. Paul, Daniel Wolff, and volunteers who gave time to help out, including Chair Emeriti Howard Sulkin, Bob Thompson, and some great guys named Ted Miller and Frank Imhoff. Chairing the 2015 Parliament of the World’s Religions is a memory I will forever treasure. Thank you so much for your faith in the Parliament of the World’s Religions. Now let us get to work with the commitments we made. If you haven’t signed the declarations, what are you waiting for? P.S. We are working hard to determine the next home base for the 2017 Parliament of the World’s Religions. That news will reach our members first. Be sure to sign up soon. …and we are just beginning to track the reach. 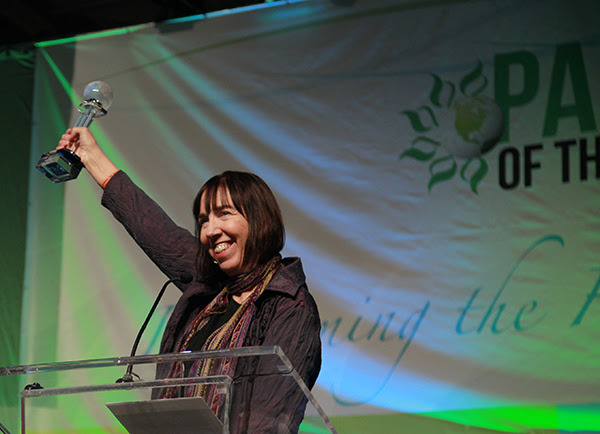 The 2015 Parliament of World’s Religions acknowledged several outstanding leaders who have contributed to society in environmental, religious and social causes. The Faith Against Hate Award was presented to Pardeep Singh Kaleka, Arno Michaelis and Rahul Dubey of Serve2Unite, a program that encourages young student leaders to build compassionate, inclusive, nonviolent environments in their schools and communities through global mentorship. The Outstanding Journalism Award was presented to Patrice O’Neill for Not In Our Town, a filmmaking and advocacy organization working to promote stronger communities against hate through films documenting the response to tragedies in Oak Creek, WI, Billings, MT, San Franciso, CA and Charleston, SC. 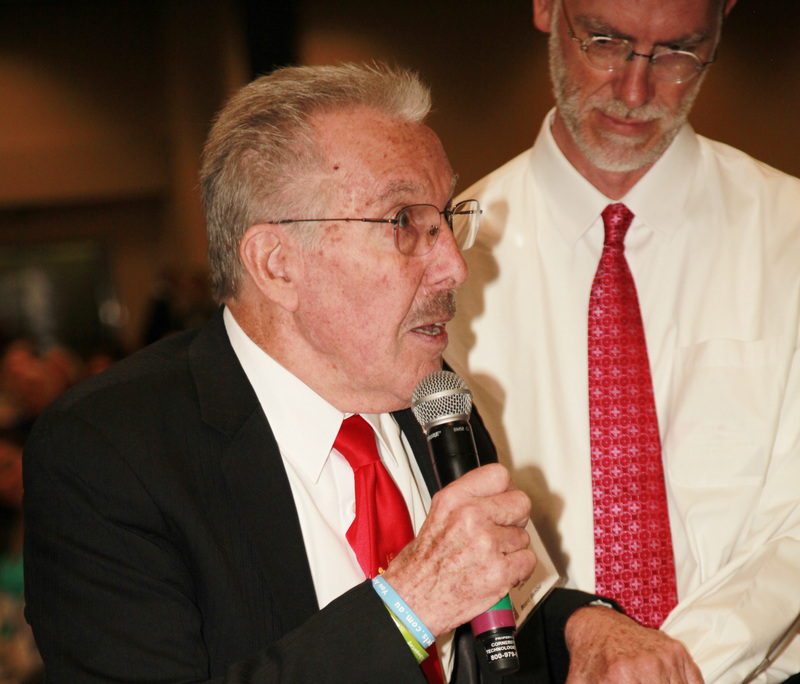 The Paul Carus Award was presented toDr. 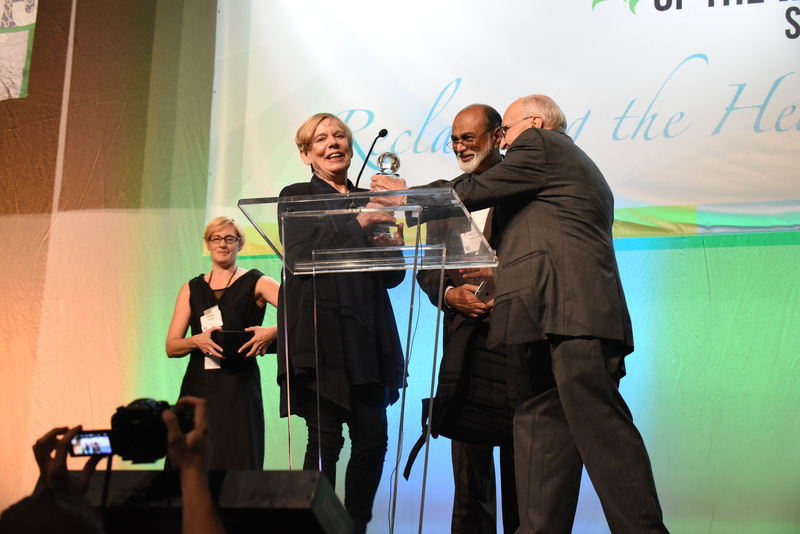 Karen Armstrong, O.B.E., British author and commentator known for her scholarship on the history of religions and for identifying commonalities between the major religions such as compassion and the Golden Rule. 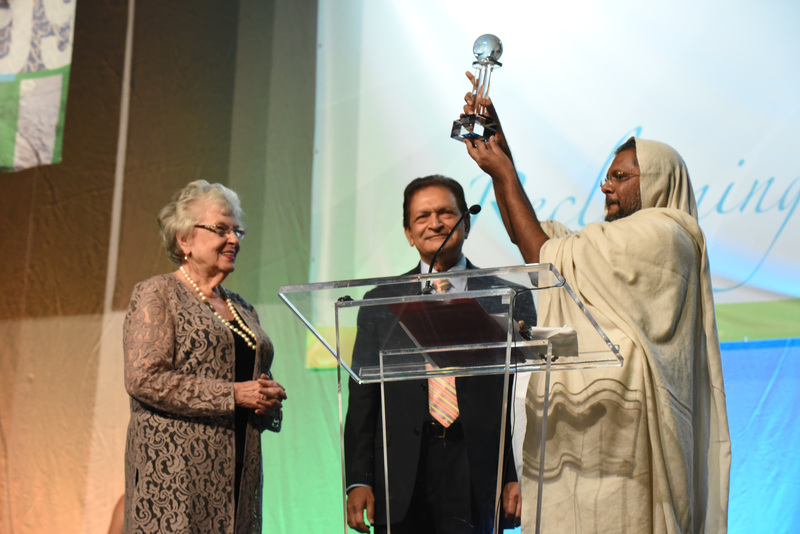 The Ahimsa Award was presented on behalf of the Jain community by His Holiness Dr. Vasanth Vijay Ji Maharaj to the Charter for Compassion International for their continued promotion of nonviolence. Dr. Joan Brown Campbell, Chair, accepted the award. 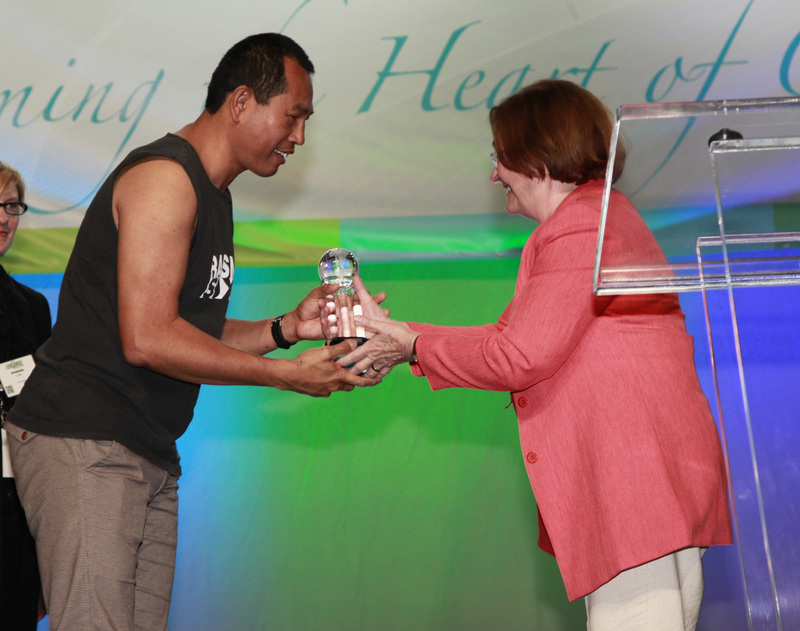 The Cultivation of Harmony Award was presented by Nobel Peace Laureate Mairead Maguire to Reverend Maung Zarni, a Burmese democracy advocate and human rights campaigner. The crowd roared in applause to cheer Zarni and his “Racism Sux” t-shirt. The Parliament’s action is officially launched on climate change, war, violence, and hate speech, income inequality, women’s rights, indigenous solidarity, and youth empowerment! These topics are more than just the themes addressed at the 2015 Parliament, they are social issues that effect our everyday lives. By signing these documents, you are joining your voice with hundreds of others who are committed to creating positive and lasting social change around the world. This entry was posted in Announcement and tagged Council for a Parliament of the World's Religions by Frank Kaufmann. Bookmark the permalink.